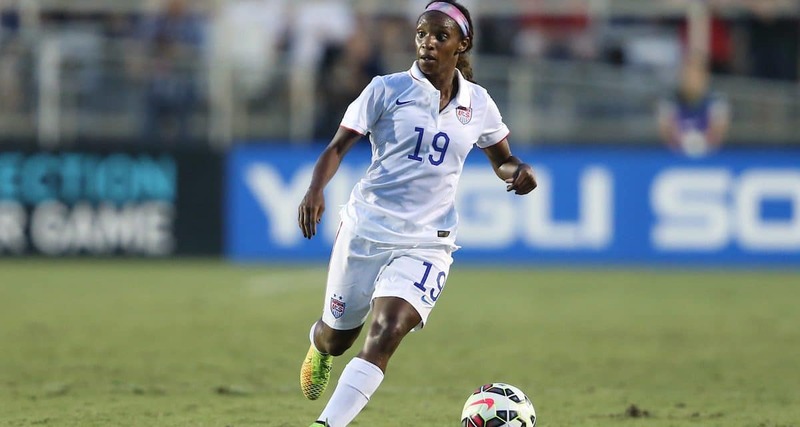 HARRISON, N.J. — When Crystal Dunn officially kicks off her Chelsea Ladies FC career in a couple of weeks, England women’s national team coach Mark Sampson has little doubt the Rockville Centre, N.Y. native will enjoy a successful debut. 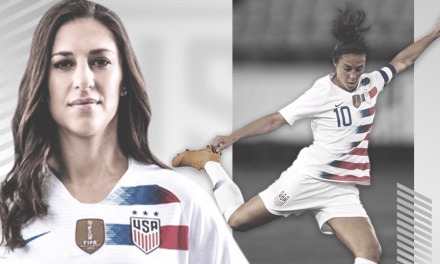 Dunn did not score in the United States’ 1-0 defeat to England in the SheBelieves Cup encounter at Red Bull Arena Saturday night, but she certainly left a positive impression on Sampson. Already a veteran of 49 international matches at the age of 24, Dunn was initiated to the English style of gamesmanship during the match. She will play against many members of the English squad starting later this month. It did not see to work as Dunn tried to either set up a goal or score one herself, usually motoring down the right side of the field. U.S. head coach Jill Ellis felt her team did not utilize the one-time South Side High School star to its fullest in the rare shutout home loss. Added Ellis: “We needed to find her more and when we did find her more, we needed to isolate her. She can destroy people. We needed to get more service out there. The next time Dunn plugs away in a competitive match will be against the Doncaster Rover Rovers Belles in the fifth round of the English Women’s FA Cup March 19. She will make her FA Women’s Premier League debut against U.S. international teammate and captain Carli Lloyd and Manchester City April 19. 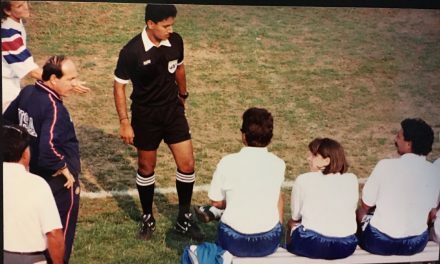 Dunn, who was replaced by Lynn Williams in the 64th minute, and her teammates had to endure temperatures that plummeted to 23 degrees and a wind-chill factor of nine at the final whistle.